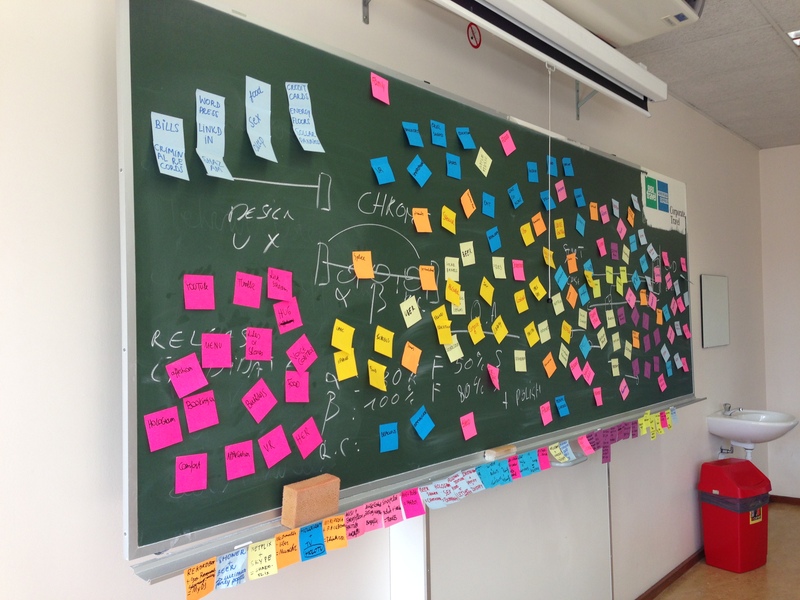 In my workshops I have been recently using the Hyper Island Mashup Innovation. After Nick pointed it out, I used it with great results both at in-company trainings as with students from Media & Entertainment Business Thomas More and Postgraduate Digital Marketing and Communication at Ehsal Management School. 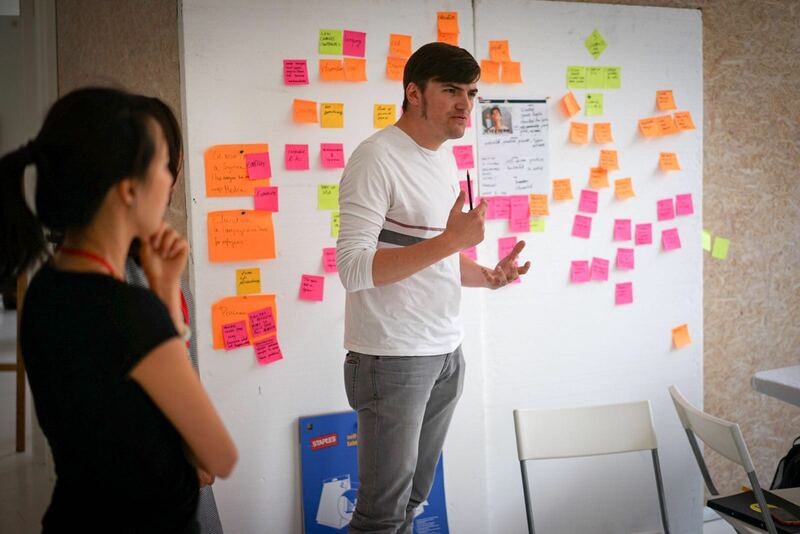 The idea is that participants brainstorm around Technologies, Human Needs, Existing Services. Based on Nick’s suggestion I also added “Existing Data Sets” as a 4th category. 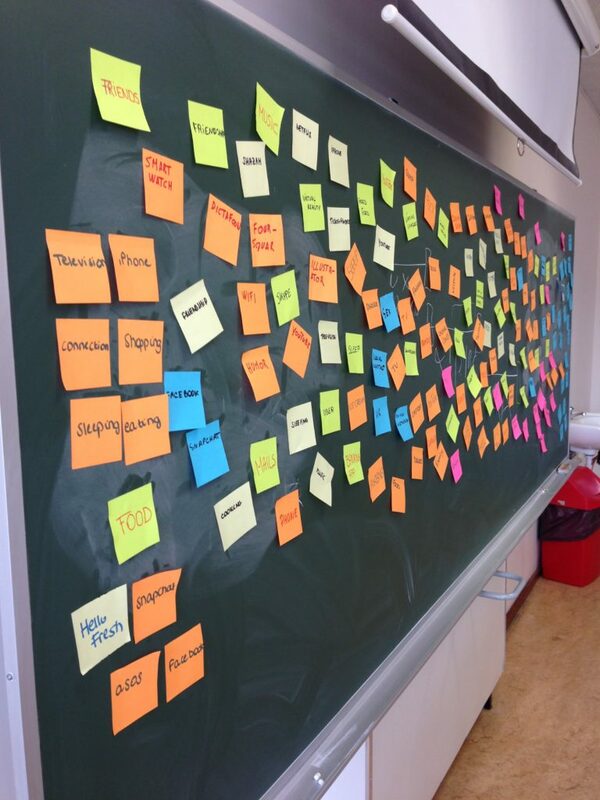 I made a little change to the original Hyper Island workshop, where I asked the participants to do silent brainstorming on their own, before putting all the sticky notes on the wall (P.S. If you don’t know how to pull of a sticky note, read this post). You end up with a gigantic heap of post its. Tip if you want to try this out yourself: make sure that participants write with markers instead of normal pens. It enhances readability for the rest of the group. Every group presents their ideas to the rest of the participants. In some cases – if I had the time – I also allowed groups to make prototypes on paper, which they could afterwards test out using prototyping tools such as Pop (Prototyping on Paper) or Invision. Why do you want to use the Mashup Innovation workshop? The first goal is to highlight how fast and efficient a large group of people can come up with a huge pile of ideas. So you showcase quantity. All groups were flabbergasted by how much they came up with in such short time – I tend to do this workshop in only 30 to 40 minutes. But next to that the quality of some of the ideas is also quite stunning. 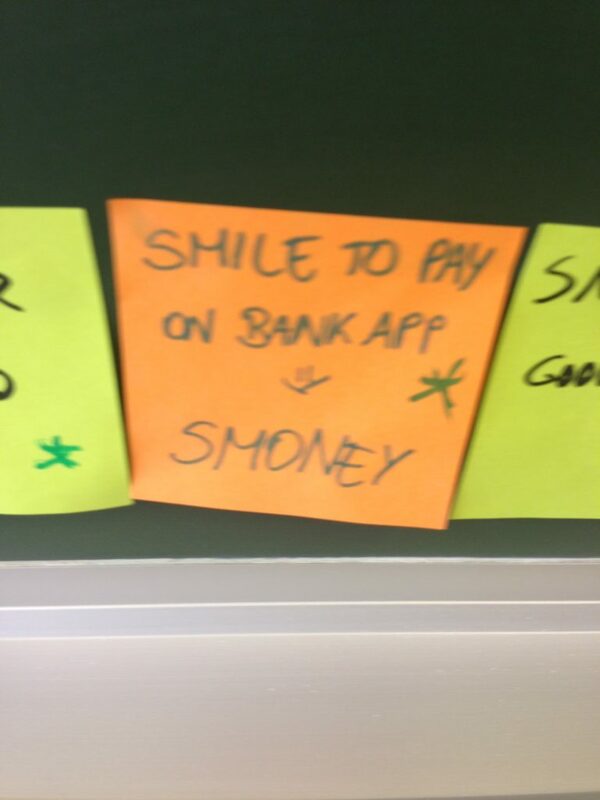 The one that struck me most up until now: Smoney. An app that allows you to do online payments with a smile instead of a code or a card reader. Just smile at your phone, and the app recognises your individual smile and makes the payment. Wonderful. You can perfectly make variations on the workshop. We used this technique at our office for example where we added a specific client as an extra step at the end. Forcing lateral thinking, and merging completely crazy ideas with what our client could use.